This is a short but sweet post…. More reason to join in the fun of growing local, organic food….. In a recent report, the President’s Cancer Panel has recommended reducing cancer risk by choosing foods grown without pesticides, chemical fertilizers and synthetic growth hormones. Here is the full report for everyone…. Also follow Environmental Working Group for updates on product safety, health and the environmental information, farming and natural resources. And then once you have read all of this and are sure now you want to eat local and organic – come join us on the Farm – follow the blog through email and come out and share in the growing!!! After a little hiatus to NYC for some regular old city fun we are back up on the farm….looks like most of the volunteers took a little break to, as there was so much to do today that was asap important!! 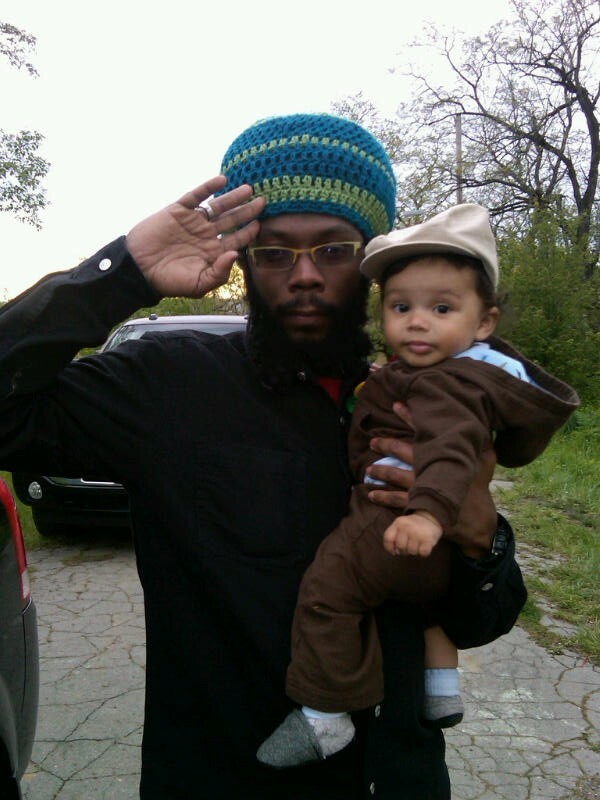 So with Negus Tafari in tow, we got to work….a little planting of our heirloom tomatoes in the greenhouse and giving everything a good watering… Negus was impatient in the pack-n-play so on my back he went. We then shared the vibrations as we mowed the lawn together…he seems quite interested in the grass spitting out of the mower but eventually the vibrating and walking put him right to sleep! As he slept away mama set up a cool surprise and put water in his new little shaded pool – thanks Lali! 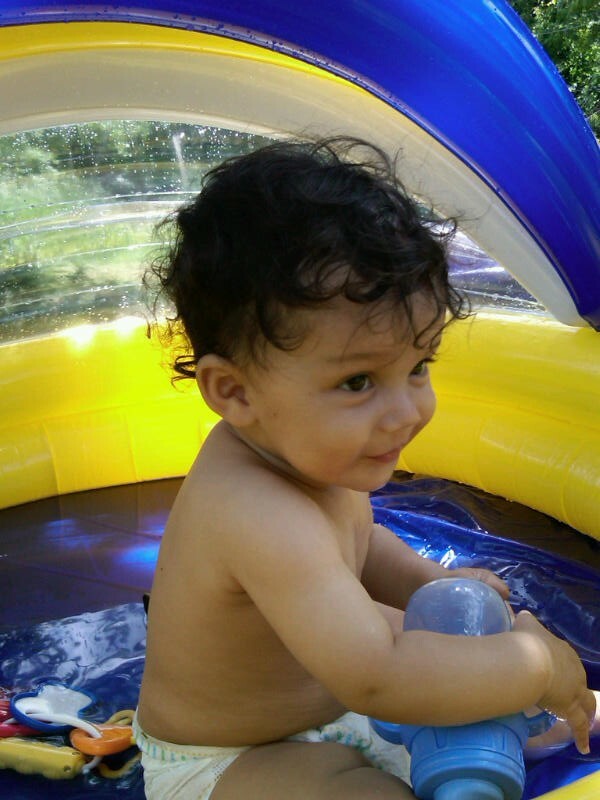 From then on it was smooth sailing as that little cutie loved the water and was content for the next 2 hours solid! We were joined by mama Sarah and Javier – who had Negus cracking up at the splashing water next to him. This is real farming with kids – quality stuff here blog followers!! Kids playing and two mamas – and Sarah with one on the way too – commenced to planting some fruit trees! We dug some solid 1’x2’sqft holes for the trees, filled them, watered them and built a protective fence around them. 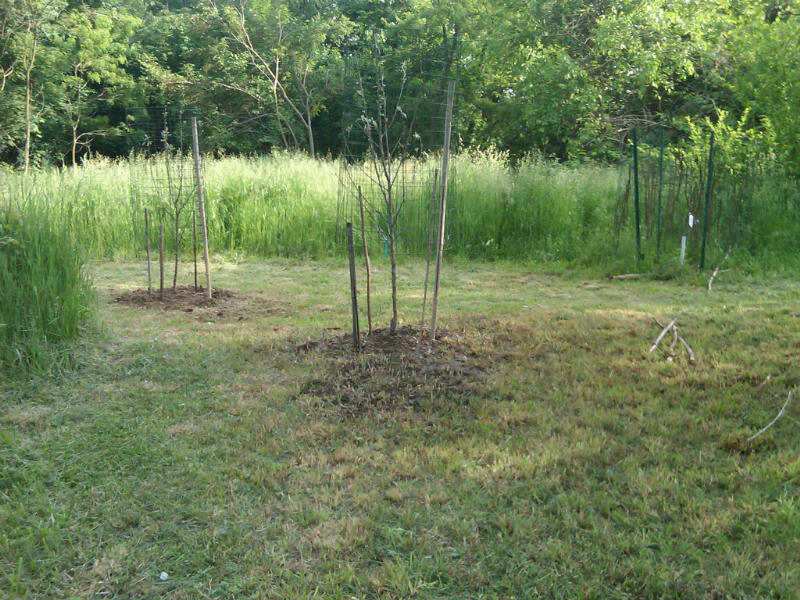 Check it out..
Now this is 3 fruit trees – two apple and a peach – out of 8 total, so we do have 5 more to plant to make our official Healcrest orchard but a good start and we are so excited! Finally I gave the greenhouse and our remaining trees another water and today was complete! 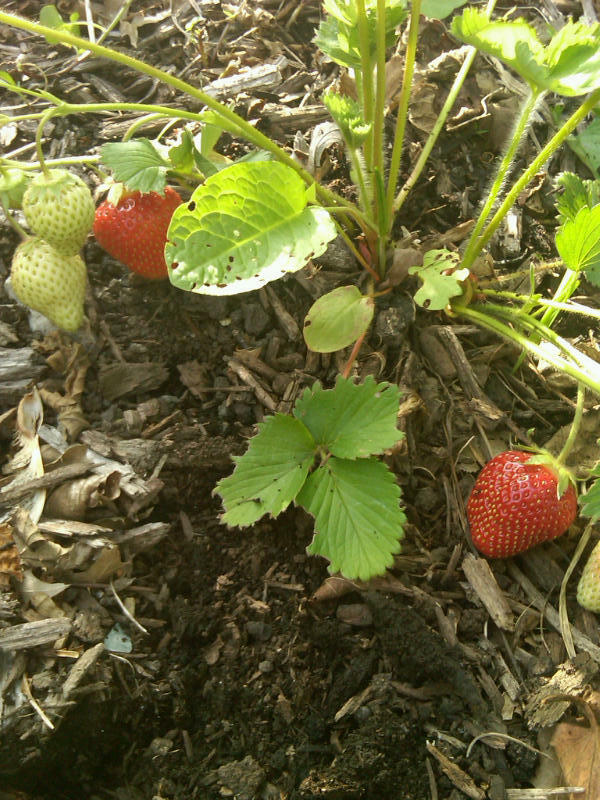 Negus and I then took a little walk around the space to see how everything else is doing and we came upon the first ripe strawberries of the year! Not enough for market, but enough for us!!! Yummy! Soon this patch will be huge though and we will have local, organic strawberries for our customers. 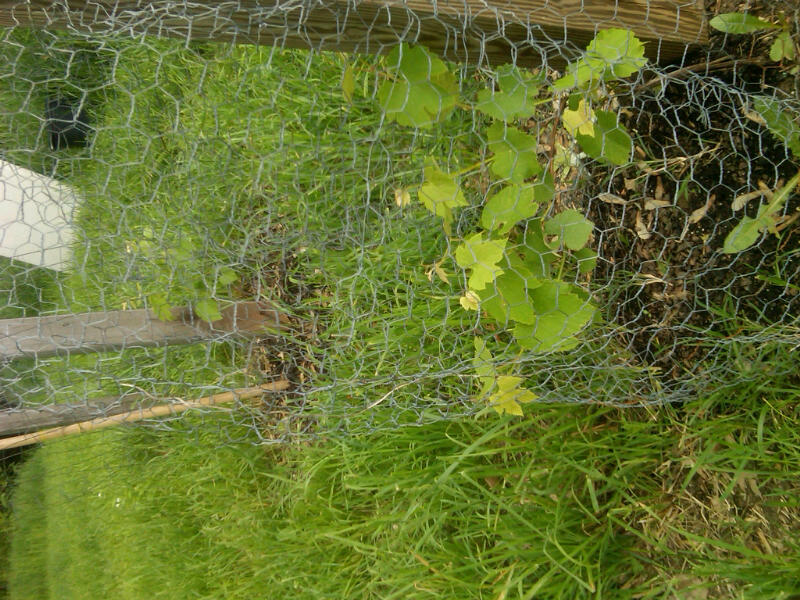 We also have grape vines started at Healcrest, so you can see we are working hard to make it a place of diverse food crops and both savory and sweet and full of flavor and nutrition. 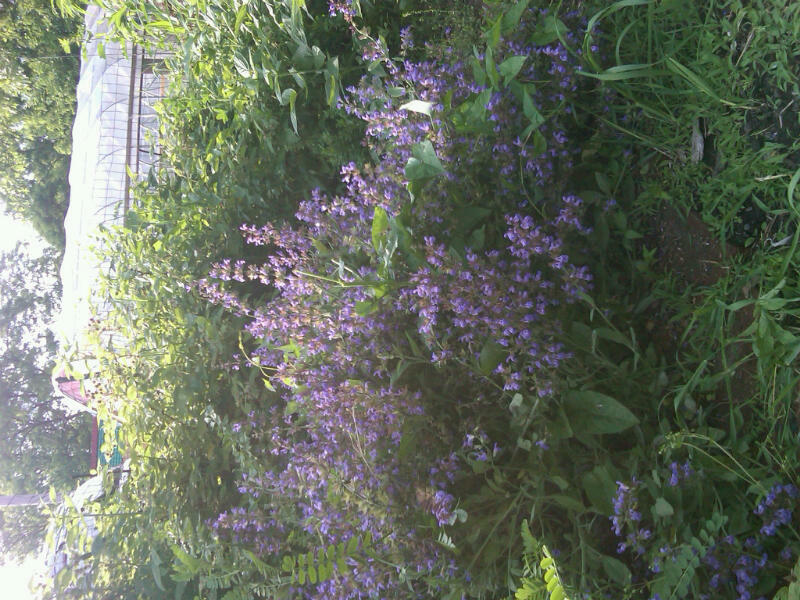 Here is also a look at our luscious and beautifully blooming sage plants. They are smelling tremendous and we will have an abundance of fresh and dried culinary garden sage for sale at market in July…andthat is the rasberry bush behind us – over 7 feet of rasberries getting ready to ripen!!!! A beautiful late spring afternoon -warm thunderstorms and sunshine to encourage plantlings to grow and grow, and encouraging us to grow and grow in heart and mind. 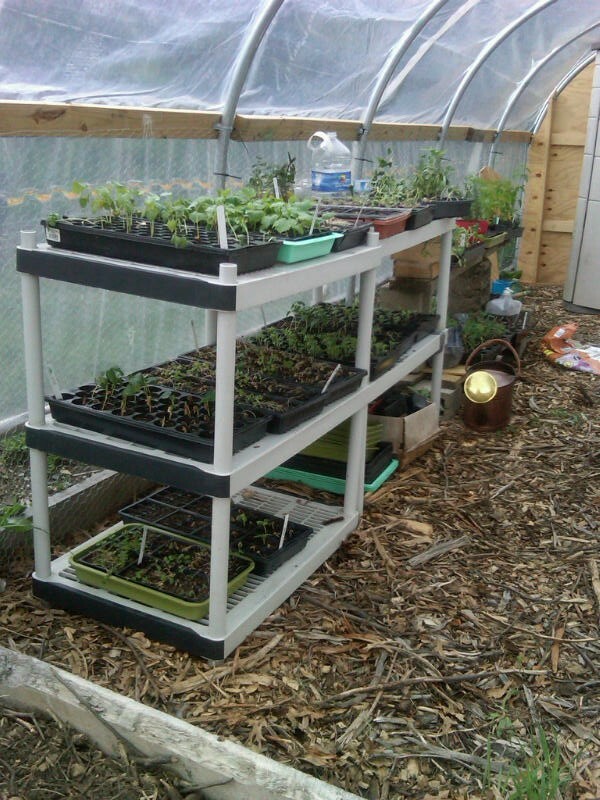 Almost to frost date here in Pittsburgh, so working daily preparing for planting. 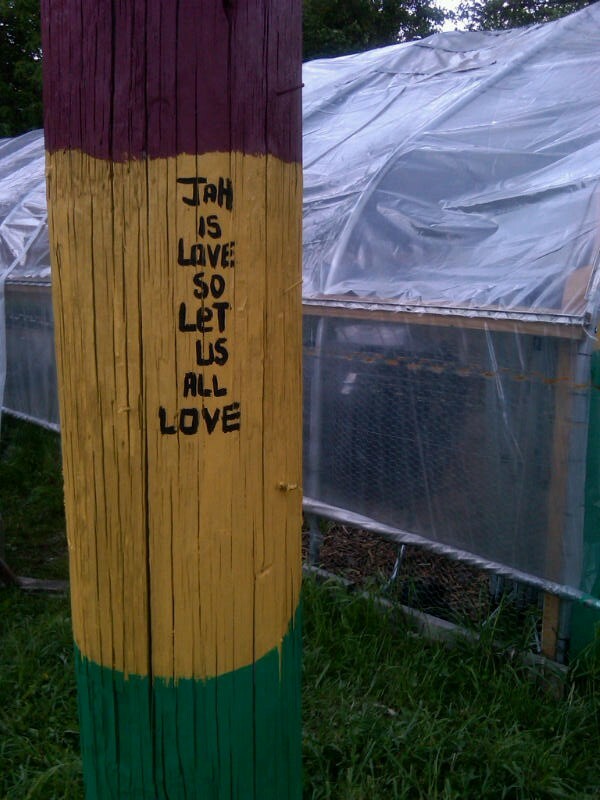 Resident farmer Ras Maisha Green has been so fruitful in blessing up the farm with his artwork. 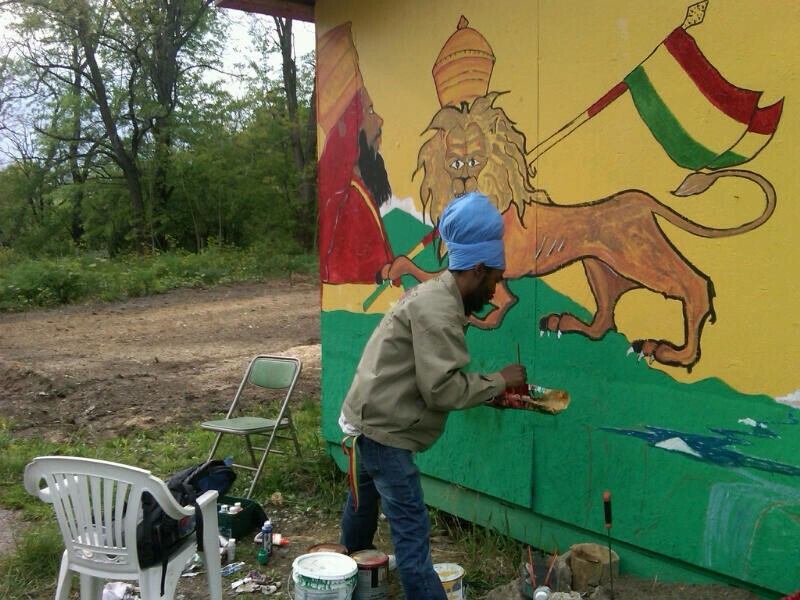 Here is a shot of him shining the image of his Majesty, Jah Rastafari, the Lion of Judah!, on the shed… and words of prayer and peace amongst our labors…. 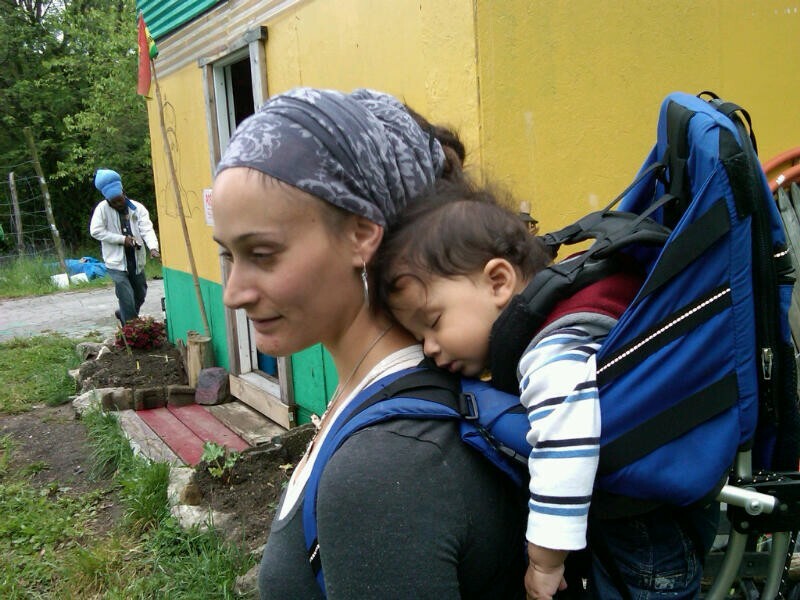 The greenhouse is in full swing, check out the plantlings – it was an adventurous day yesterday taking them from the science classroom at Fort Pitt and transporting 30 flats to Healcrest…all with babe on my back – look I tuckered him out that beautiful Binghi child. 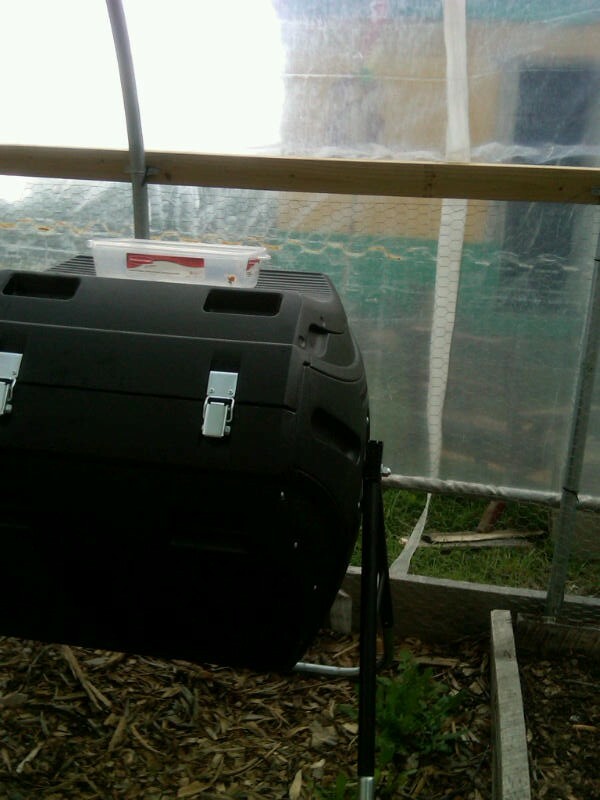 I assembled myself the 80 gallon compost tumbler – we got it to provide direct incentive for volunteers and farmers to bring in their compost scraps and turn that tumbler, then we can generate compost more quickly. We will still do large piles with hopefully soon, scraps from market produce and coffee grounds, but for now we want to make sure WE are composting. Huh! By the way, the directions said, requires 2 people, and this mama here did it all by herself! She learned it from a Binghi man with building skills. So as the rain comes down we are connecting with our blog followers to remind anyone interested to join us in this amazing process. Volunteers can committ 2 hours per week to get vegetables in return and your time will help feed hundreds of people. We will offering Farmers Market Nutrition program (FMNP) for WIC mothers and seniors and we hope to be at the East Liberty Farmers Market and hopefully the Pgh Public Market if we think produce is going to be sufficient. Help us out and we know it will!! Nyabinghi Lion and one of his little cubs standing tall on the Farm! Growing medicinal and culinary herbs for use in delicious herbal edibles including ice pops, herbal teas, herbal candies and syrups!